The best way to stay in touch is through the Friendship Bread Kitchen newsletter. In addition to receiving the latest recipe posts and giveaway notices, you’ll have unlimited access to subscriber-only printables and downloads. I don’t spam and you can unsubscribe at any time. 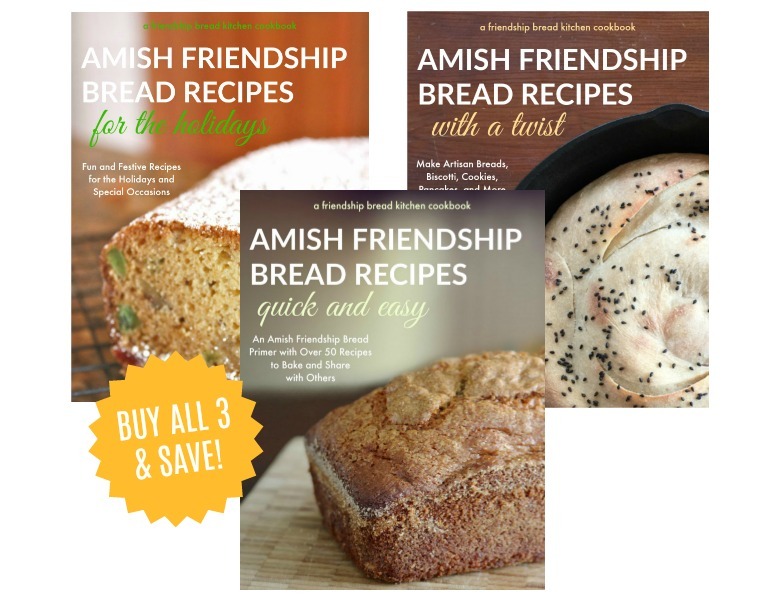 If you have questions about Amish Friendship Bread or the starter, please check my FAQs, conversion tables page, or post to the Friendship Bread Kitchen Facebook community for answers to your question. Chances are excellent that your question has been asked (and answered) before, and it helps me out a lot if you take a few minutes to see if you can find the answers yourself (plus, there’s always Google!). If your question doesn’t fit any of the above criteria, you are welcome to submit your question below. I’m a one-woman show, a mom of three, and a full-time writer, so it might take me a while to get back to you, but I will!